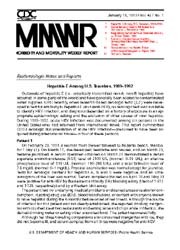 Description: The Morbidity and Mortality Weekly Report (MMWR) series is prepared by the Centers for Disease Control and Prevention (CDC). 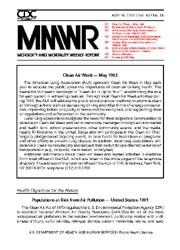 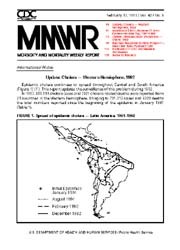 Often called “the voice of CDC,” the MMWR series is the agency’s primary vehicle for scientific publication of timely, reliable, authoritative, accurate, objective, and useful public health information and recommendations. 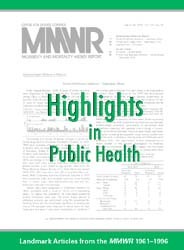 MMWR readership predominantly consists of physicians, nurses, public health practitioners, epidemiologists and other scientists, researchers, educators, and laboratorians. 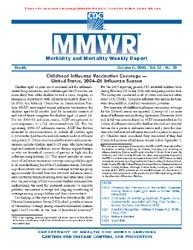 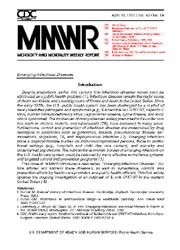 The data in the weekly MMWR are provisional, based on weekly reports to CDC by state health departments.